Check out this all brick three bedroom bungalow in the great family neighbourhood of Castle Heights. Main floor is fully renovated with beautifully finished hardwood floors, brand new open-concept kitchen, new 4 piece bath, new doors, fixtures, new front porch etc. It also has a brand new front porch plus roof and venting. Furnace is 2012. 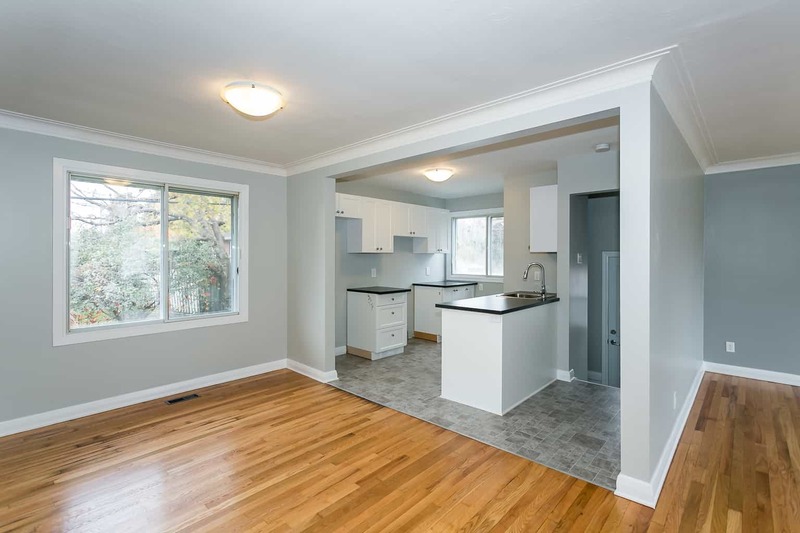 Downstairs is fully open unspoiled basement with a rough-in for second bathroom if desired – side entrance to basement means it could be easily setup as rental unit or in-law suite. Call today for an appointment to view – property is being sold as is. Situated on a large lot with the rear yard being fenced. Click on the attachment below to view the Property Details such as estimated taxes, rooms sizes etc.